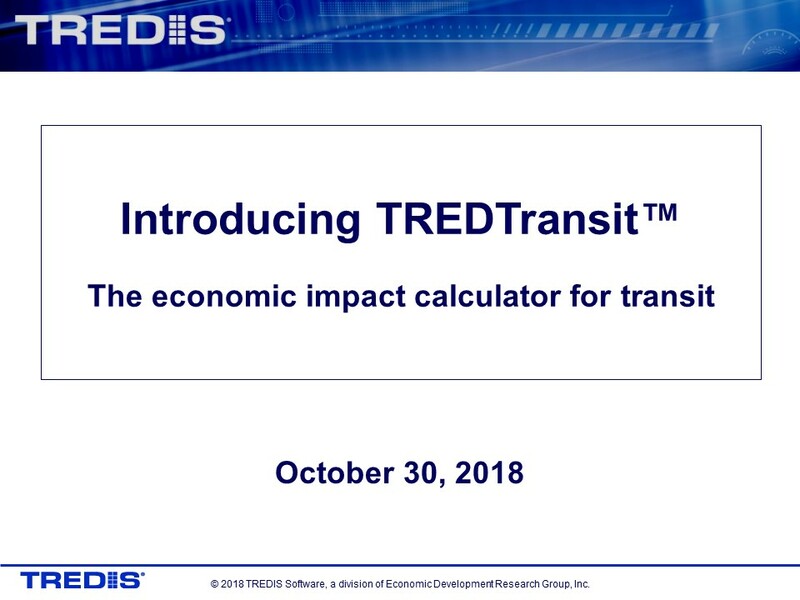 The latest product in the TREDIS® Software family, TREDTransitTM is an economic impact calculator developed for transit agencies. It simply and easily assesses the economic impacts of your transit agency's capital and operating budgets. You can estimate the number of jobs, labor income, GDP and output directly supported by annual operations and capital investment. Then, trace impacts of activity through stratified direct and secondary effects to understand how industries are impacted. These insights can effectively communicate how transit spending and investment contributes to the economy of your region. In this webinar recording, we demonstrated using a sample project how your transit agency can use TREDTransit. Topics discussed: Required inputs, sources of information, and how to estimate the economic impact of regional economy.